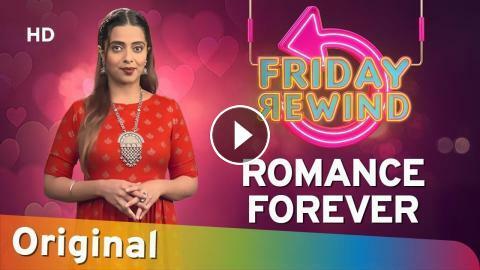 The beginning of Valentine’s Week sets a perfect tone for our special episode of Friday Rewind. Yes, you guessed it right, as we bring up your favourite romantic songs to double your joy of Valentine’s celebration. One cannot imagine Hindi films without this very ingredient called “Pyar, Ishq, Mohabbat”. Love is an eternal feeling that drives the world and spreads positivity and happiness. Over the period, Hindi films songs may gradually have changed the style of portraying love or romance, but one thing is the same at its core to the best - LOVE. Enjoy this lovely romantic episode “Romance Forever” with RJ Adaa and do comment below as to which of these songs you are dedicating to the love of your life. Happy Valentines!